It’s festival season! If you’re headed to Wanderlust San Francisco (or any yoga festival) these tips will help you make the most out of your weekend. Wanderlust San Francisco, one of our new 2-day city Festivals, is packed with 50+ fitness and wellness classes per day. Golden Gate Park—covering over 1000 acres and spanning 50 city blocks—is 20 percent bigger than Central Park, and offers festival-goers a retreat from the city while still remaining convenient for exploring San Francisco’s diverse neighborhoods. Wanderlust San Francisco has something for everyone, including HIIT, pilates, meditation, and holistic health talks. Sweat as much or as little as you’d like! Whether this is your first or 100th yoga festival, keep these tips in mind to get the most “om” out of your weekend. Take a few yoga classes prior to attending the festival, and familiarize yourself with a few yoga poses and phrases. A lot of classes move quickly, so it’s good to have a general idea of the terminology before going in. Regardless, even if you’ve never taken yoga, this can be a great place to get your feet wet. You’ll be surrounded by people of all practice levels—inspiration to keep going and aspiration for development. Still, though—be sure to honor your personal practice. Super advanced poses aren’t the name of the game here; if Headstand isn’t a part of your regular practice this may not be the best place to try it. Opt for a mix of vinyasa, HIIT, running and pilates with some talks, meditations or down time to eat, shop and socialize. The weather and temperatures fluctuate quite a bit in San Francisco and having the right equipment can make or break your day. Wear comfortable, quick drying layers: Yoga pants or capris, a tank top or short sleeve, long sleeve, sweater/jacket and a waterproof layer if there’s a chance of rain; comfortable flat shoes, a hands free belt bag or small backpack and a lightweight, travel mat. A sweat-proof sunscreen and a refillable water bottle are also must-haves. Be sure to reapply sunscreen, even if it’s overcast and stay hydrated! With featured brands like Health-Ade, LaCroix, and Miyokos on site there’s sure to be ton’s of food and beverage samples available. Keep a refillable water bottle with you to refill and stay hydrated throughout the day. There will also be food and beverage available for sale inside the festival; bring a credit card and an ID with you—some vendors may not accept cash, so plan accordingly. Looking for a for a bite near the park before or after the festival? Check out Nopalito for Mexican food; Beach Chalet for hearty American fare (plus brews and views of the Pacific); Judahlicious for locally-sourced, organic coffee, smoothies and juices plus raw and vegan snacks; and Java Beach for coffee and sandwiches. Wanderlust is the perfect place to try new things! Start by immersing yourself in a soundbath, trying meditation for the first time, take a HIIT or pilates class, and finish with a Asana Alignment class. This includes chatting up the person next to you before and after class, or connecting with a local instructor whose class you’ve been dying to take. Want to take a break and sit down for a while? There are plenty of talks in the Speakeasy covering topics from climate change, zero waste living, and holistic detoxing. With two full Festival days there’s plenty of time to immerse yourself in the experience, you don’t need to do it all in one day! Slow down, put away your phone, and fully enjoy the experience at hand. Save some time and energy to explore the food and beverage vendors, browse the shops, and to relax and socialize with friends new and old. Golden Gate Park isn’t always the easiest place to get to, so plan extra travel time. Your best bet is to carpool, rideshare or take public transportation. Parking is usually nonexistent and no wants to start the day running late! If you have a few extra days to spend in San Francisco, there are many wonderful places to visit. Attractions inside Golden Gate Park include the visiting the deYoung Museum, Conservatory of Flowers, Japanese Tea Garden, or climbing to the top of Strawberry Hill, the highest point in Golden Gate park with views of Mt. Tam and the Golden Gate Bridge. A visit to San Francisco isn’t complete without watching the sunset at Ocean Beach surrounded by friends, a visit to Chinatown or eating clam chowder out of a sourdough bread bowl from Boudin Bakery. If you can’t make it to San Francisco be sure to check out Wanderlust 2-day Festivals in Seattle, Denver, Brooklyn, and Chicago. For tickets and more information, click here. 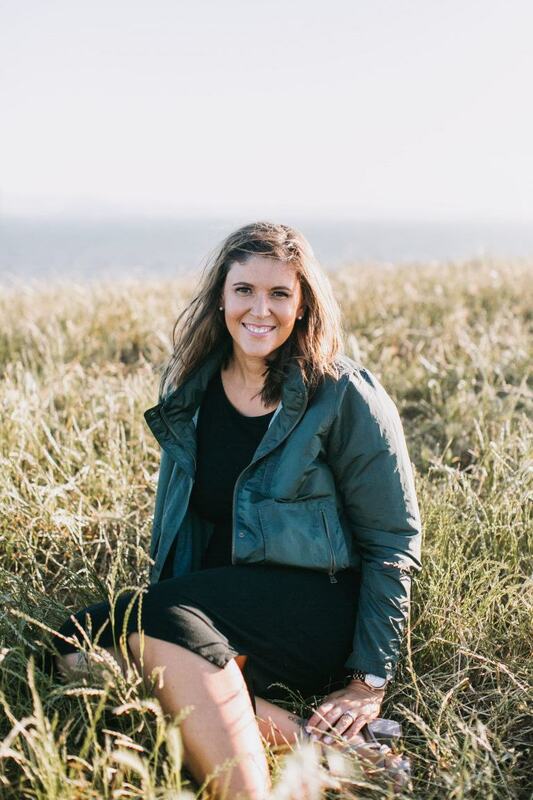 Briana Ottinger is a body positive personal trainer in the San Francisco Area that helps women of any age, weight or ability take control of their health. It is her passion to make healthy living delicious, affordable and most of all fun. Briana is a two time Ironman finisher, a marathoner, and aspiring yogi. When not working Briana loves experimenting in the kitchen and traveling with her husband and two dogs. You can find Briana on her Instagram or her website, www.brianaottinger.com.